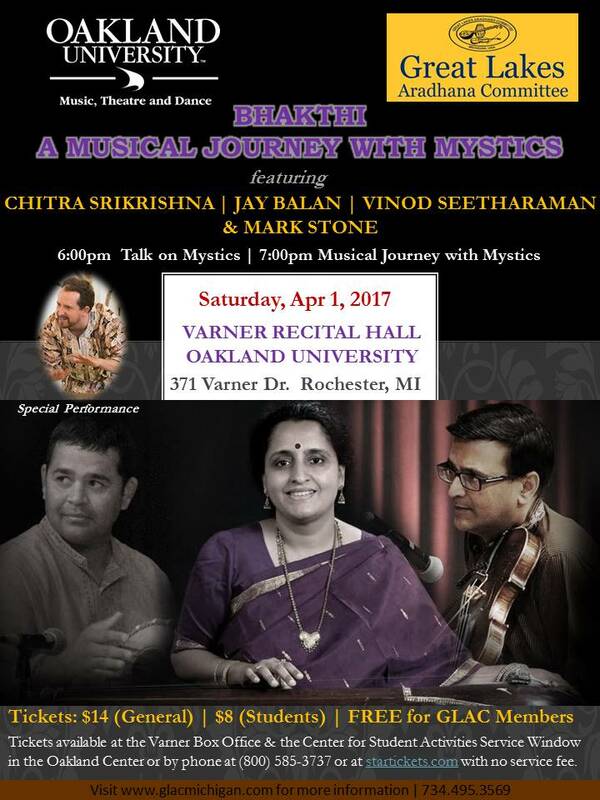 My latest program BHAKTHI – a musical journey with mystics comes to Detroit. The concert will be preceded by a short talk in which I discuss mysticism, the role of music and how mystics across time and cultures have evolved a shared experience that speaks to us even today. Prof Mark Stone from Oakland U will be joining us on the kanjira for the concert.